"Those who have followed my posts on Hole Ousia will know that I have petitioned the Scottish Parliament for a Sunshine Act. 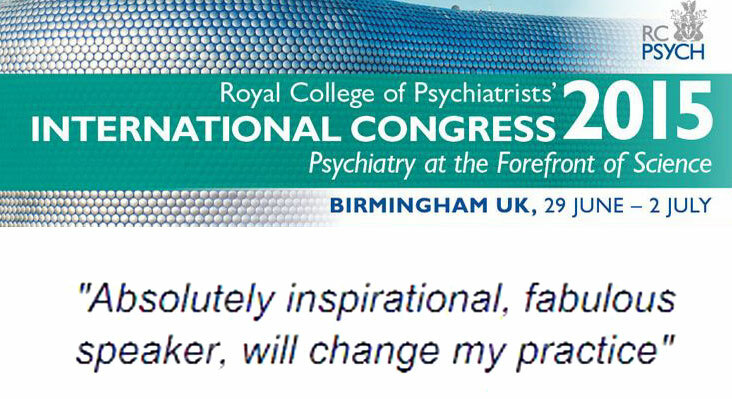 As an NHS doctor working in Scotland I was recently invited to this educational meeting. I thought it might be useful to use this as an example of the current situation for continuing medical education as I have encountered it in Scotland. Although this flyer does not make clear, this educational meeting is sponsored by the Pharmaceutical industry. Professor Peter Passmore has been described as a “key opinion leader” in medical education both in the UK and internationally. 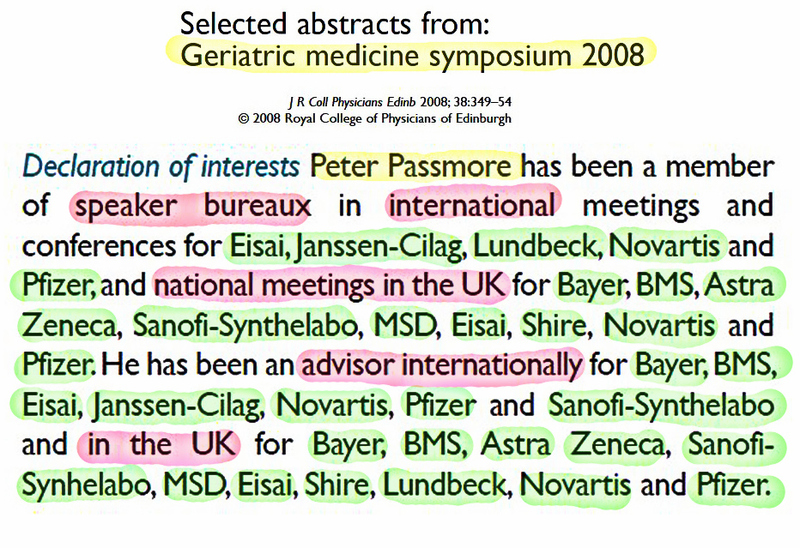 This list of declarations for Professor Peter Passmore is from 2008 as given to the Journal of the Royal College of Physicians in Edinburgh. 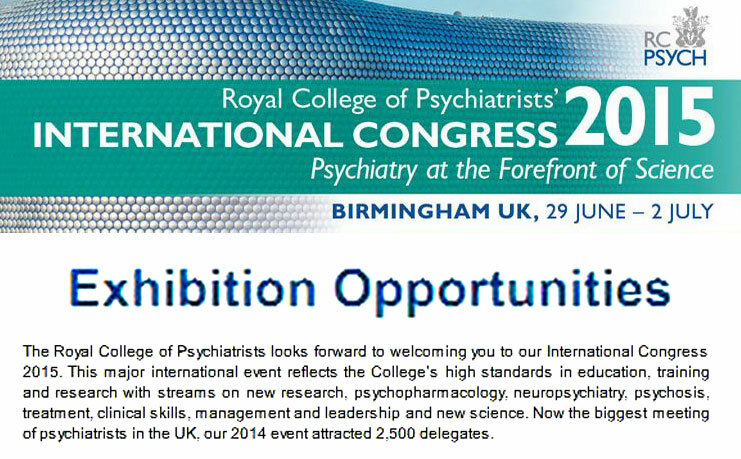 I do my best to avoid sponsored medical education but I do try to attend meetings organised by the Royal College of Psychiatrists. 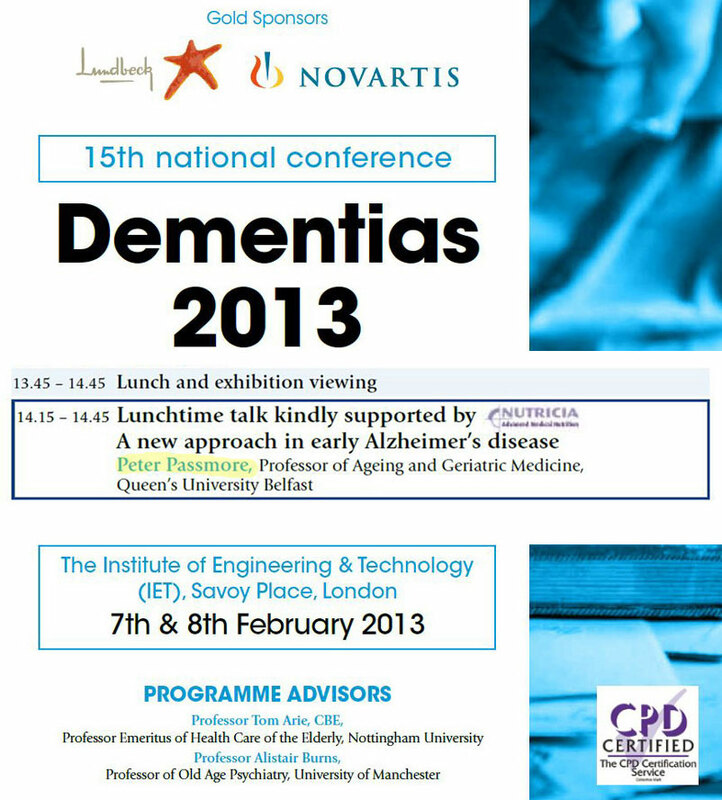 For the Autumn 2011 Faculty Meeting I had suggested to the organisers that we might debate “early diagnosis of dementia” . I offered to take one side of the argument. 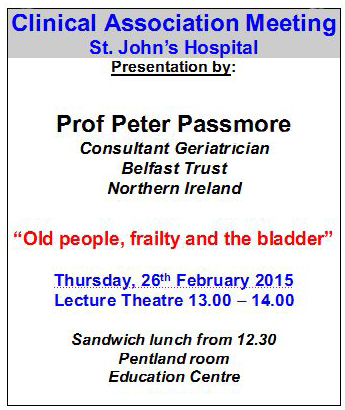 However the organisers chose instead to invite Professor Peter Passmore. 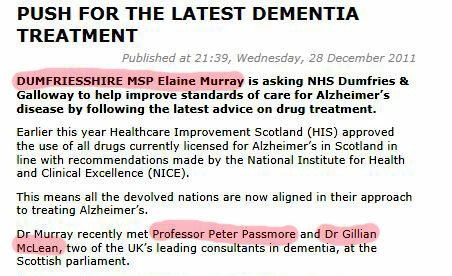 Aware of Professor Passmore’s extensive promotion of drugs I chose not to go. 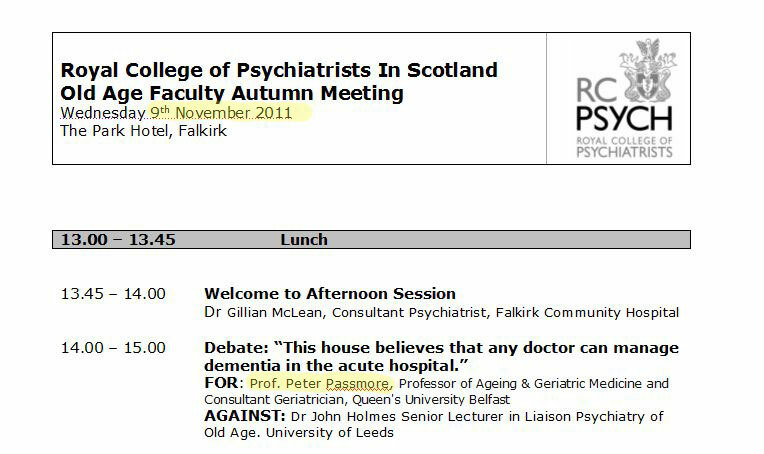 At this time, 2011, Scottish psychiatrists were invited to a number of educational meetings where Professor Passmore was widely promoting Memantine (EBIXA). 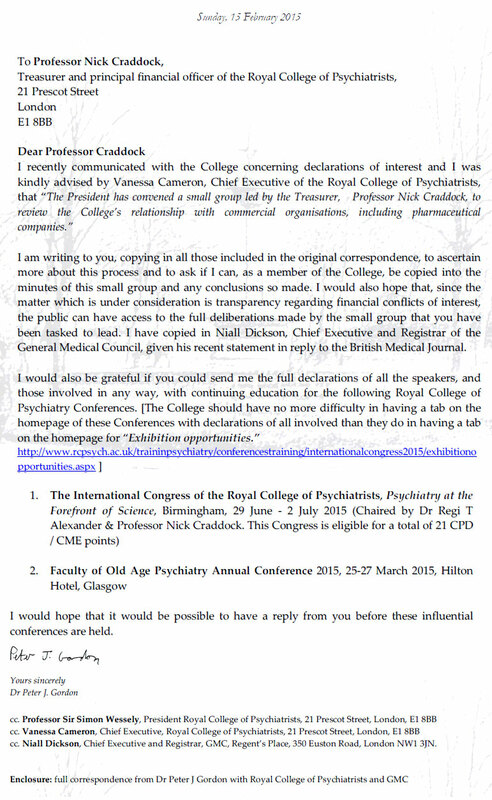 By being paid to give educational meetings for CPD approved conferences and meetings Professor Passmore is by no means departing from accepted practice. The Association of the British Pharmaceutical Industry (ABPI) are currently introducing a register of payments to individual doctors: “The central platform”. Doctors can choose to opt-out from disclosing any payments received from industry. 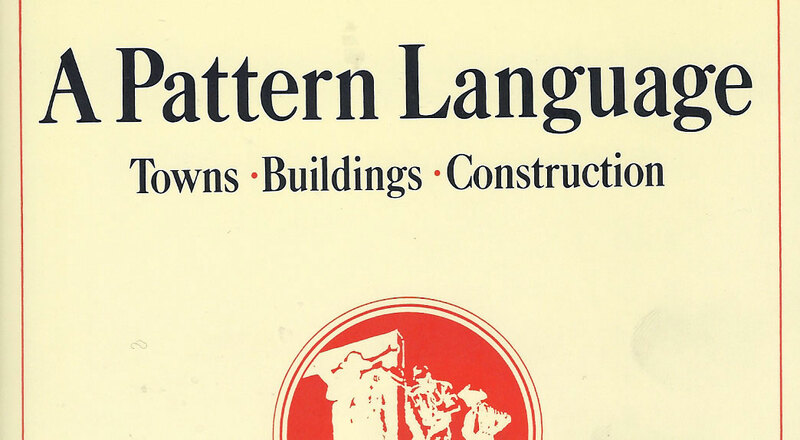 Those who follow my blog posts may recall that following Alexander McCall Smith’s recommendation to me of “A Pattern Landscape” I have been exploring patterns. Here I am reminded of NHS Forth Valley who are another NHS Board in Scotland who have no money to support medical education. I am one of many scientists who has concerns that continuing medical education in Scotland is being funded by vested interests." We read with concern the BMJ editorial on the apparently laissez-faire approach taken by the General Medical Council (GMC) to reports of undeclared financial conflicts of interest in the form of financial inducements which may have influenced the referral patterns of UK doctors. We are glad to see that this BMJ editorial appears to have had the desired effect of a GMC response to these serious allegations. 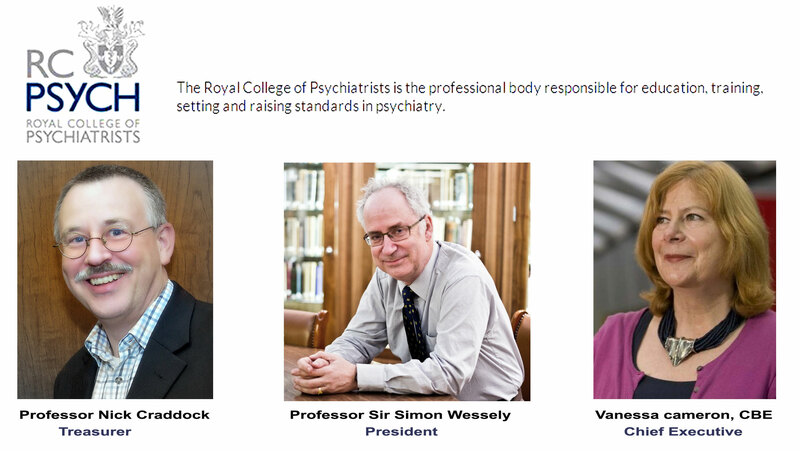 We agree that doctors should make conflicts of interest declarations where these may affect prescribing and clinical referral behaviour. This information should be made available to employers and patients. 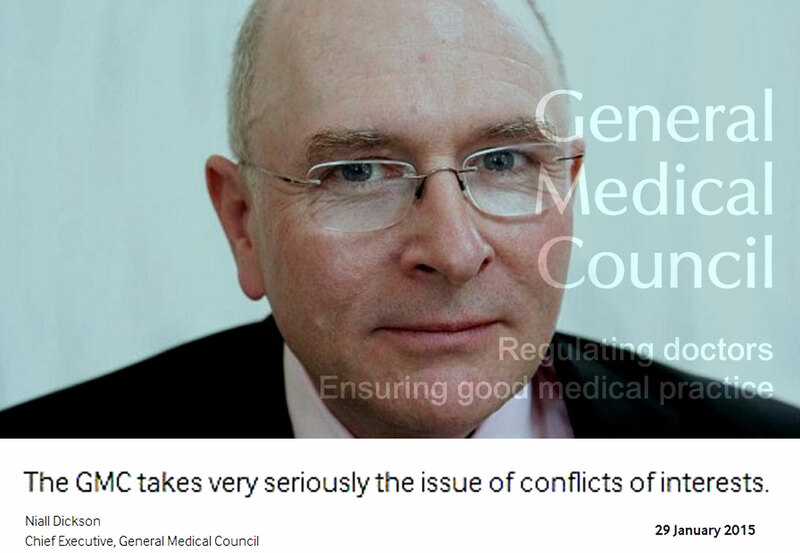 Although GMC Good Medical Practice (2013) guidance covers honesty and integrity, including “Honesty in financial dealings”, many NHS Trusts will not have any formal or systematic mechanisms to record any financial conflicts of interest. As Public Health England (PHE) consultants, we know that PHE requires its staff to complete annual declaration of interests returns every year. This may stem from the Nolan principles of public life which require public servants to follow seven principles of public life, the most relevant of which include honesty, integrity and openness. According to the Committee on Standards in Public Life, the seven principles should apply to all civil servants e.g. PHE staff and those appointed to work in “health, education, social and care services” amongst others. 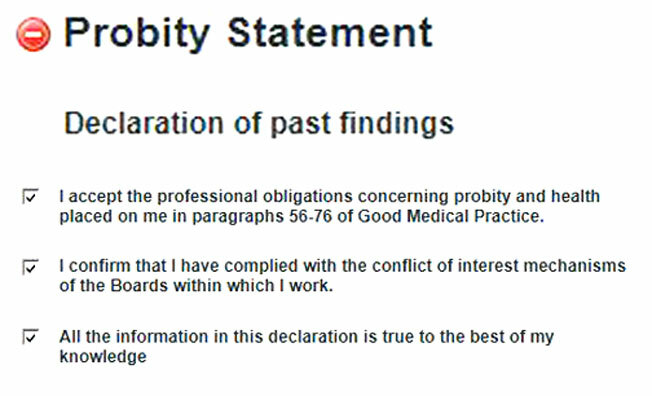 We suggest the PHE approach of an annual review of employee declarations of interests as a template upon which to build a database of doctors’ conflicts of interest. Such a register could be one way of tackling the opacity of undeclared financial interests as reported by the BMJ. However, we agree that a multi-pronged approach is required and that new conflicts of interests may arise between annual surveys. Nevertheless, our profession has to start somewhere. If we do not get our house in order, public trust in our profession will suffer; this we can ill afford." Competing interests: GYS & RM work for Public Health England, an executive agency of the Department of Health (England). The views expressed are our own & not those of our employer(s). 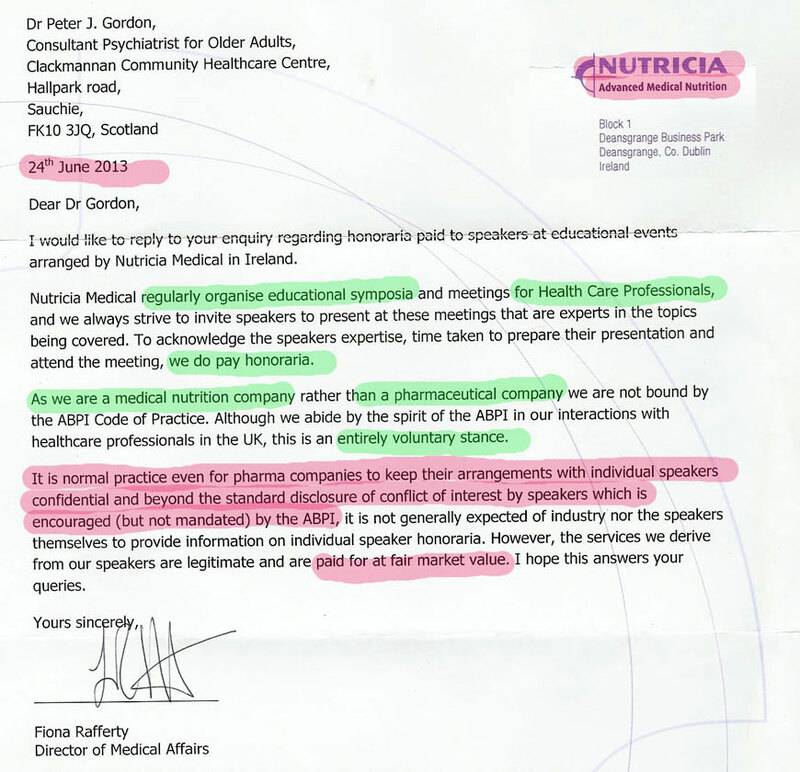 Neither GYS nor RM have ever engaged in private medical practice. GYS has indirect financial interests in various pharmaceutical/biotechnology companies through collective investment vehicles such as unit trusts like FTSE-100 index trackers etc. He does not own any shares in any such company directly. "The last set of posts have brought stimulants and dopamine into the frame. In the 1960s and 1970s while stimulants were becoming controlled drugs it was nevertheless denied that they caused dependence. There were early RxISK posts on the compulsive behaviors linked to dopamine agonists and on DAWS, with the DAWS post attracting a lot of comment. There are also RxISK papers on both Dopamine & Compulsive Behavior and Dopamine & DAWS. There was an early RxISK story linking antidepressants like Venlafaxine to compulsive behaviors Gambling on Antidepressants and there will be posts on Abilify covering similar ground in weeks to come ..."